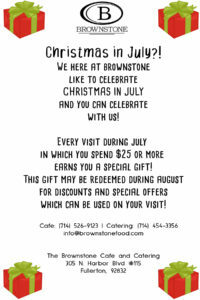 We here at Brownstone like to celebrate Christmas in July, and you can celebrate with us! When you spend $25 or more on your visit during July, you get a special gift inside an envelope! You can then come back in August and open your envelope to reveal your gift! You could win a 50% discount, free dessert, free appetizer, or even a free $100 gift card! But be careful! If you open your envelope before August, then you can’t claim your prize! Don’t forget to celebrate Christmas in July with us and receive an awesome gift! 14 More Days Until Christmas! 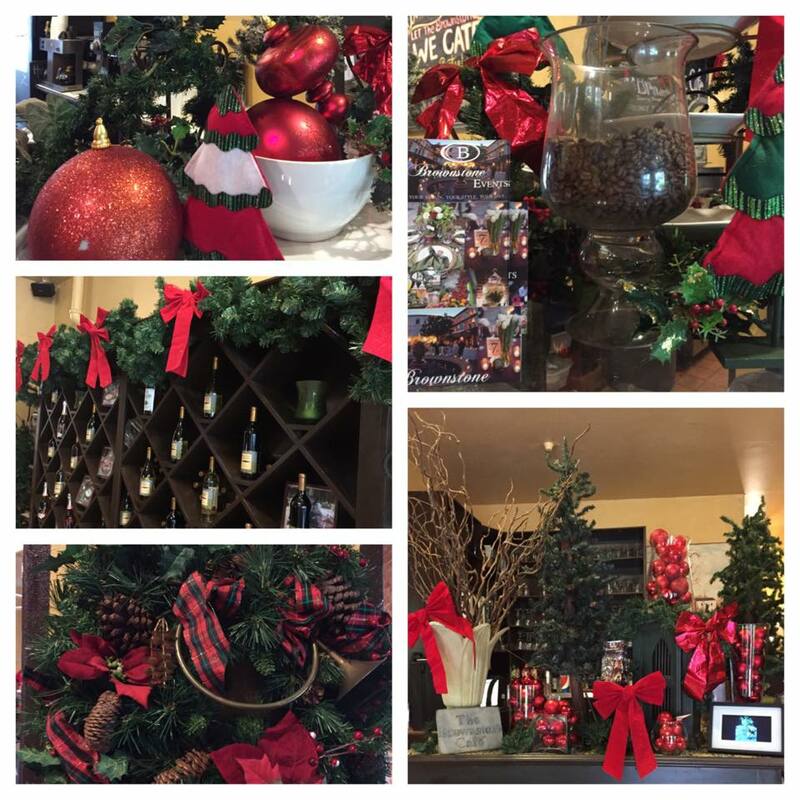 There are only two weeks left until Christmas and the Brownstone Cafe is decorated like a winter wonderland! Bring your friends and family and celebrate the season with the Brownstone Cafe!